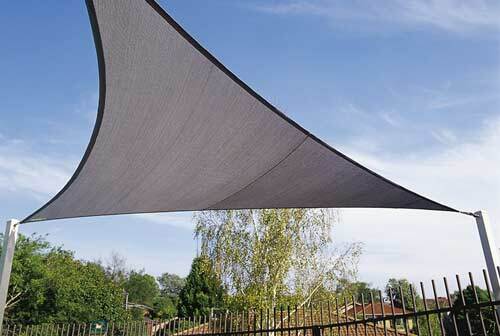 Shade sails are unique shade solution to outdoor spaces especially during the summer. They are triangular or rectangular heavy woven fabrics, mounted on steel posts or to your house, that can withstand weather conditions. What Our Shade Sails offer You? Shade sails can be used over outdoor patios, parking spaces and entrances. They keep the areas cool by blocking the scorching sunlight in hot summer months, thus reducing your cooling costs. 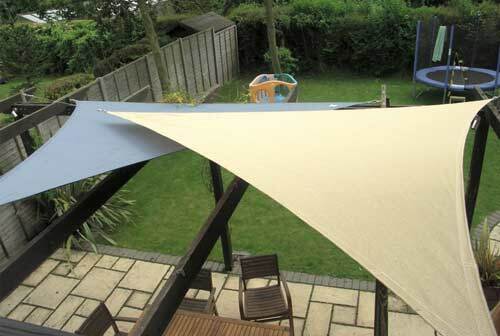 Moreover, our shade sails are made of fabric and therefore do not consume any energy! Our shade structures protect from the hot and damaging rays of sunlight by blocking up to 95% of the UV rays. This prevents you from sun burns and other skin diseases caused by excessive exposure to sun’s radiation. Our sun sails are ideal choices for residential and commercial establishments. They are available in a range of colours and textures that greatly improve aesthetics at a much lower cost than solid wood or block framed sun shades. Our team carries out an assessment of the area of installation and then uses different design ideas to create an impressive shade sail. Contact us today for this modern exterior home décor for your home in Perth, WA.